So, hands up if you thought all wine was vegan and/or vegetarian? I must admit, it is one of those things you don’t really give a second thought to. As a friend said “surely it’s just made of grapes, isnt it?” Well yes it is basically alcoholic grape juice but did you know animal products are usually used in the actual process of making wine? Prior to the wine being bottled the juice will also contain unwanted particles from bits of the grapes stalks and skin which can have a negative impact on the clarity and taste of the wine and need to be removed. In order to do this, the Fining Process is used. This is carried out after the fermentation of the wine. To clarify a wine is basically to clear it up, remove any visible particles. If left, a wine may have too many of these leaving the appearance dull and cloudy. 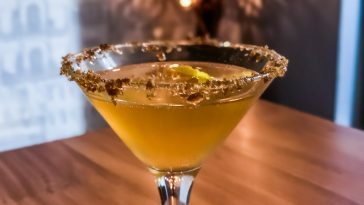 The natural method of leaving it to clear may work but this means wine could take years to naturally settle, separating the sediment. The Fining process clarifies, removes tannins, other phenols (chemical compound affecting colour and taste) and proteins. Fining is to add substances to the wine which physically binds to the target element and it is these substances that can be animal products. After a period of weeks or months the wine is then filtered and the unwanted particles are effectively sieved out, so they are not quite ‘added’ to the wine but used in the process and cannot be guaranteed to be completely filtered out at the end of the process. This produces a clearer wine and reduced tannins, proteins and phenols. A substance obtained from the dried swim bladder of fish, usually sturgeon. A form of gelatin. The bladders are dried and ground into powder. This is then dissolved in liquid.This reduces the bitterness in red and white wine. Dried Oxblood also used to be used but has since been banned by the EU for fears over Mad Cow Disease. 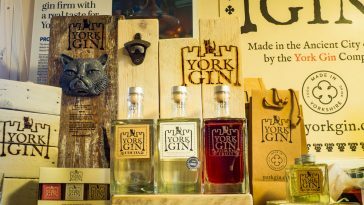 If this list has made you feel a bit queasy, you will be pleased to hear there are many great vegan wines available and you will probably have a few as your favourites without realising as I have. The vegan fining process uses carbon, limestone, plant casein, silica gel and bentonite clay. How easy is it to find Vegan or vegetarian wine? I headed off to my local stores to find out. When you are facing the shelves, it has an organic range which you can see straight away and these are Vegan. 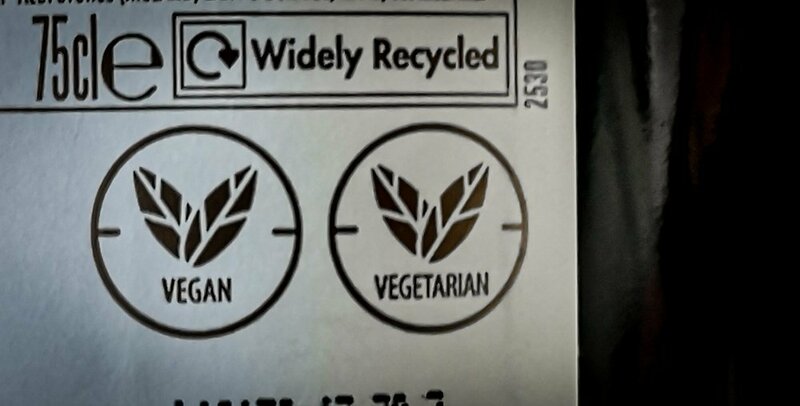 Looking on the back of the wines, Aldi use a Vegan/Vegetarian stamp which I thought was a great help. When you look on Aldi’s website, it lists them all for you very clearly. Aldi have a lovely diverse collection of vegan wines which are clear and easy to find on their website and even the great Cremant Du Jura is vegan. I was really very impressed with this upfront and easy to access information. Well done Aldi. 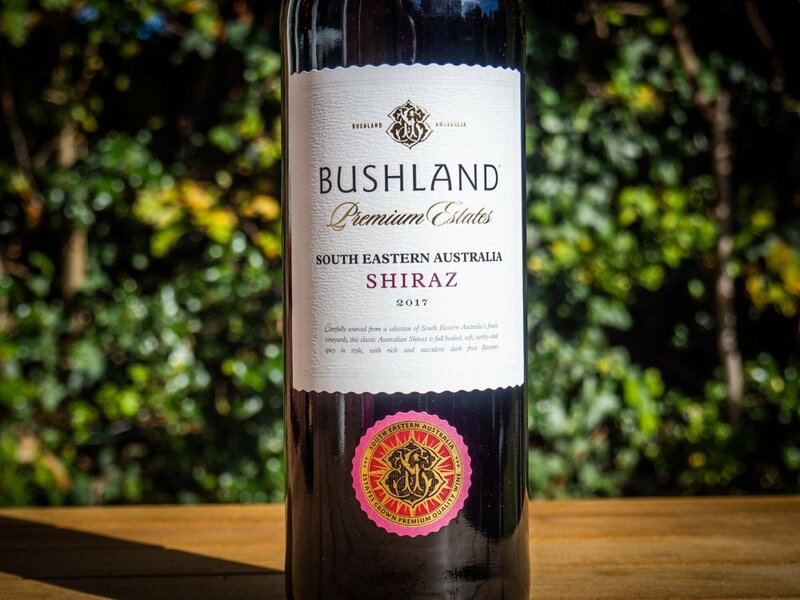 The wine I bought (and have done previously without realising it is Vegan) is Bushland Premium Estates South Eastern Australia Shiraz 2017. This wine is full bodied with hints of spices, soft, blackcurranty with a lovey scent of plum and vanilla and around £4.50 per bottle. Another wine that caught my eye was vegan Organic Sparkling Rose which they describe as beautifully fresh and elegant, a medium dry with floral notes of rose and fresh fruits, around £7.99 per bottle. Sainsburys have a lot on offer for vegan wines. Again, I was pleasantly surprised I recognised a lot of them and have had them before. They also clearly label their own brand vegan/vegetarian wines on the back. The Sainsburys website also brings up plenty to choose from. 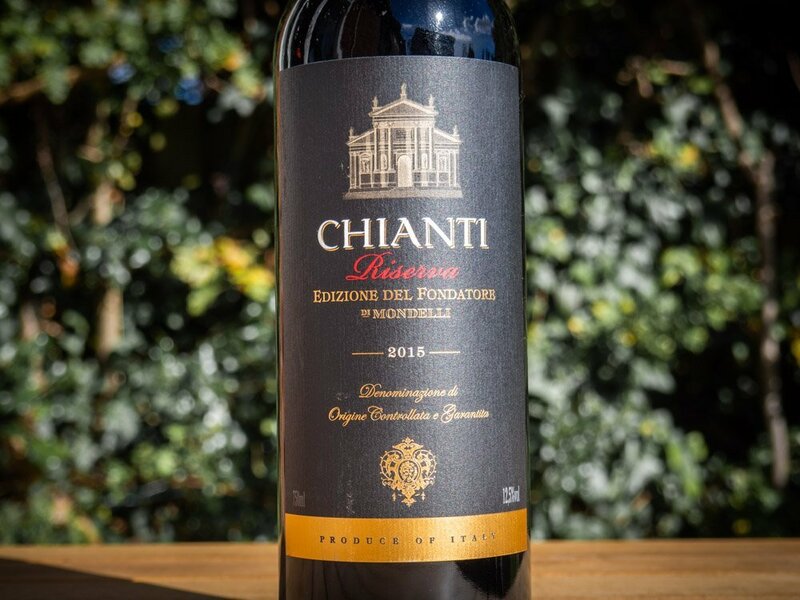 I bought Chianti Riserva Edizone Del Fontatore Mondelli 2015. Made from grapes grown in Tuscany, this is a smooth red with black cherry and hedgerow fruit flavours along with smoky undertones on the nose. Great value at around £6 per bottle. They also do vegan Pinot Grigio Trentino Doc, which they describe as an elegant white wine characterised by flavours of peaches, almonds and greengages. Great with salads or vegetable dishes at £6 per bottle. The next port of call. Whilst the wine I purchased was not obviously vegan on sight, I had searched it on their website whilst stood in the wine aisle. Tesco also have many different searches so you can be really specific about your dietary requirements which I thought was fantastic, very inclusive. Again, they had a vast selection to choose from including red, rose, white, champagne and Cava. I purchased Castillo San Lorenzo Rioja 2012. 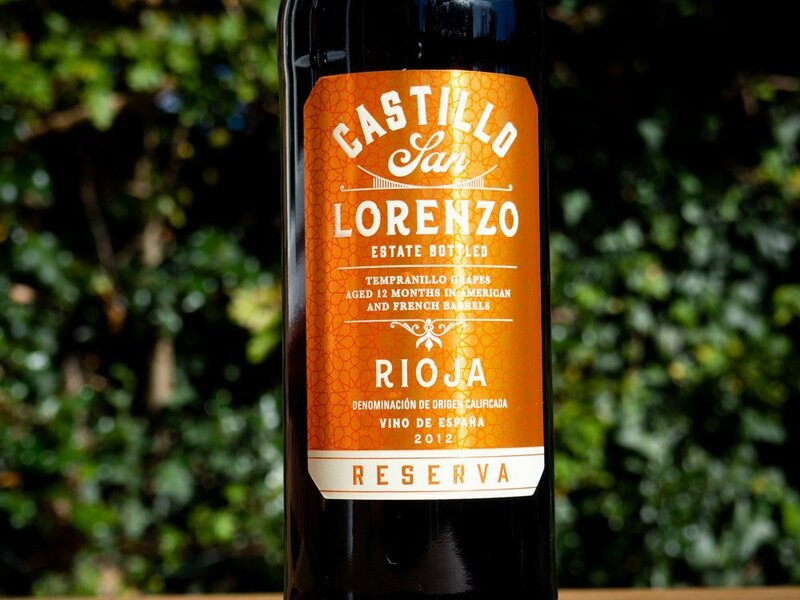 This Spanish Rioja has flavours of dark fruits and plum with warming cinnamon and vanilla. This is about £7.50 per bottle. They also do a vegetarian Finest Prosecco Valdobbiadene. 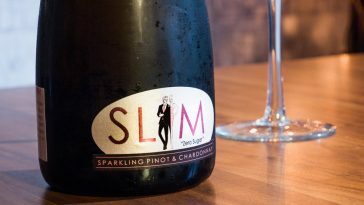 Described as a dry sparkling wine which is fresh and complex with aromas of white blossom and notes of pear and peach, coming in at £10 per bottle. 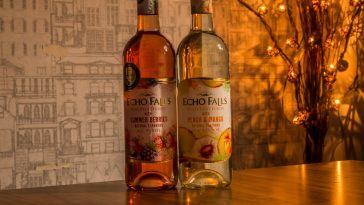 Having visited the other stores before Asda, by now I assumed the Vegan wine would not be hard to find and that maybe all stores had clicked on to this idea. Half an hour spent in the wine aisle with my husband, twizzling wine bottles around to attempt to fathom out the labels (no way!) and both of us clutching phones to attempt to glean any information from the website on Vegan wines we threw in the towel. Asda had no information, you could not search for Vegan wines and no information seemed to be available. Come on Asda, get your act together. People have many dietary requirements and I would have thought such a huge company would have had this information readily available and laid out for its customers. Needless to say we did not buy any wine here. 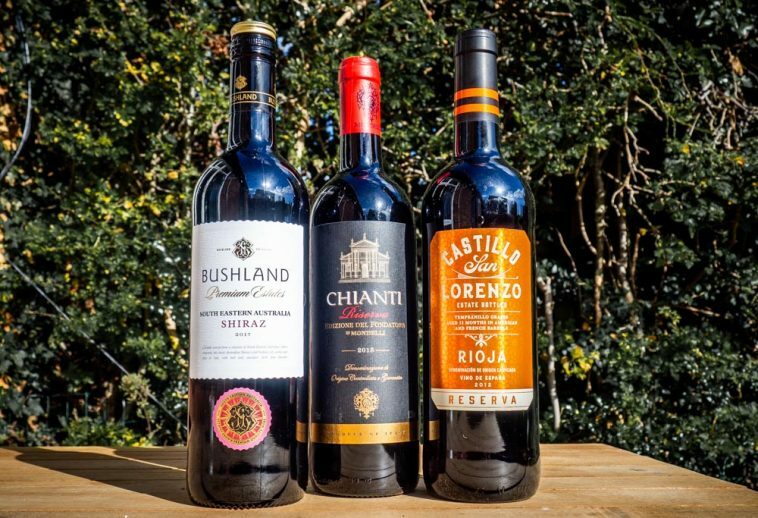 As the demand for vegan products is seemingly on the rise, companies must be more transparent about what is in their wines because the information is really not easy to find unless it is made clear. People also want to make an informed choice about what they are purchasing. So, have a look at their websites to see which wines are Vegan and I would recommend checking this on a regular basis as some wines may go and others added.